Source: Ann Arbor Area Board of Realtors. The average residential list prices were up 6.2% in 2018, peaking in July at $342,385. The top average list price in 2017 was $328,135 in June. The number of home sales was down 6.0% in #Ann Arbor. 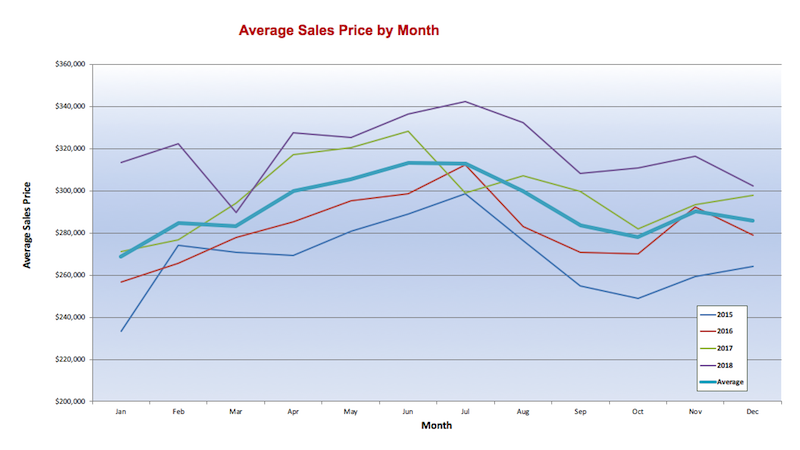 Read about all the market stats in the Ann Arbor Area here! Want more information about the real estate market in your area? Request a Market Snapshot. Avoid overpricing your Ann Arbor home, check out this video. Understanding the data and trends is where our expertise is helpful: 734-669-0337.